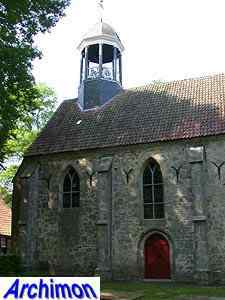 The village of Weerselo consists of two parts. 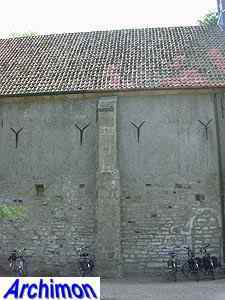 One is Het Stift, the other is the actual Weerselo, formerly known as Nijstad. 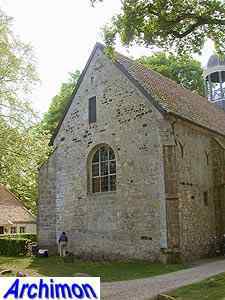 Het Stift is the successor of a Benedictine monastery which at the end of the 13th century became an abbey for noble women, a so-called stift. 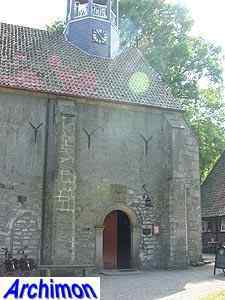 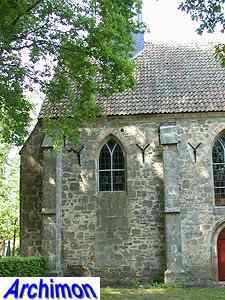 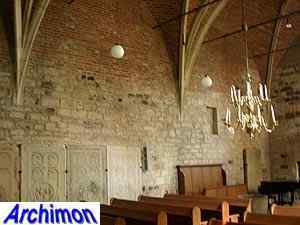 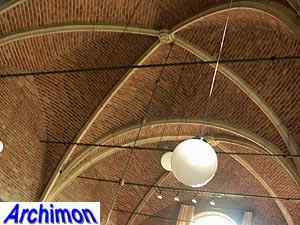 The current church was preceded by a chapel which belonged to the chapter of Oldenzaal and which later became part of the monastery. 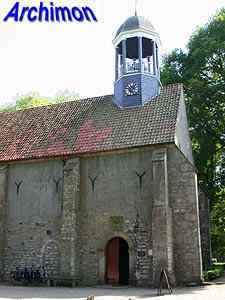 From the 15th century the church was used by the parish as well. 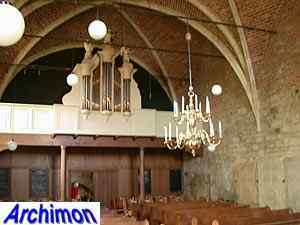 Since 1626 it has been protestant. 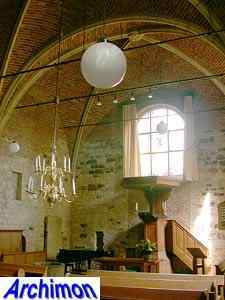 Despite its use as part of a stift inhabited by nobility, the church is small and consists of one aisle only. 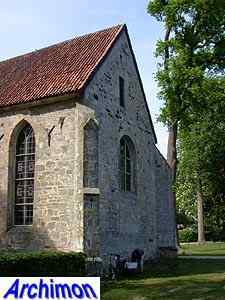 It is probable that the walls of irregular pieces of natural stone are from the 14th century, although the stones itself may have been used for an earlier church. 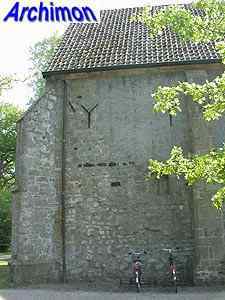 Originally, the church was one trave longer. 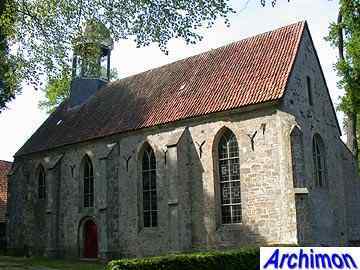 In 1523 a fire destroyed the church, and when it was repaired the nave was shortened and given a new front. 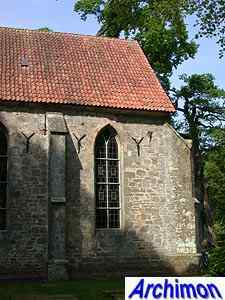 The buttresses, the vaults and the upper parts of the wall date from this period as well. 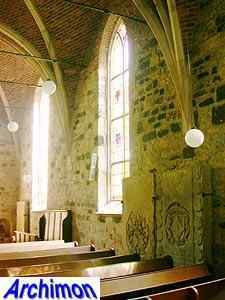 The nave only has windows in its southern wall, which has a doorway in the second trave. 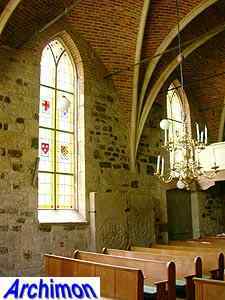 There is another window in the eastern wall; apparently the church never had a seperate choir. 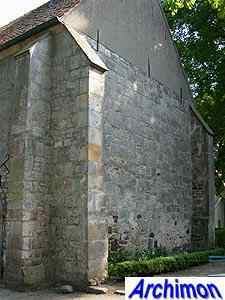 The north wall is completely closed, except for a doorway, giving reason to believe that the other monastery buildings were at this side. 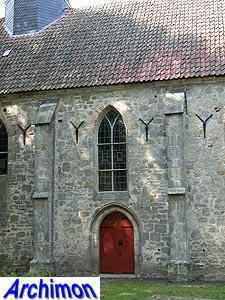 Traces of another, and possibly older, closed doorway are clearly visible. 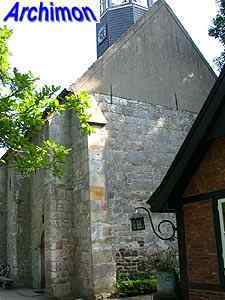 On top of the church is an open tower; old pictures show a steeple instead.